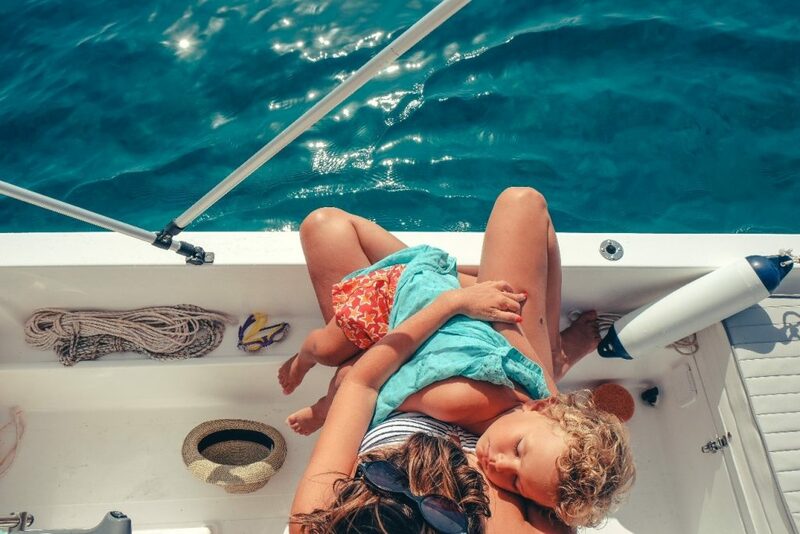 If there is one thing that many travel lovers consider before having children, it is how to continue discovering the world when new members arrive to the family. Let’s be honest… when babies knock on the door the situation changes completely, and that’s why many parents tend to despair. “I’ll never be able to visit the dream places of my wishlist,” “children won’t stand so many flight hours,” or “I’m going to spend years and years with diapers and a crib on my back” are some of the catastrophic thoughts that go through your head. In this post we have decided to calm your spirits and invite you to discover the wonderful experience of family travel, as authentic experts from Hotel Suite Villa Maria. Our goal has always been to make the stay as easy as possible for our guests, both inside and outside the hotel, precisely so that parents can also get the well-deserved rest they so much need. With time you will realize that there is nothing better than enjoying your days off and getting to know the world together with your loved ones and, at the same time, you will be grateful for the advice that we offer you below when travelling with children. It is not convenient (or rewarding) to prepare a holiday with fear. The experience of traveling with children for the first time is just one of all the ones you are going to live together. Try to be prepared and attentive, but don’t let this stop you from relaxing during your holidays. Baby cries on airplanes aren’t by chance. Adults do know how to cope with the changes in pressure in their ears – especially in the take-off and landing processes – but the children have to learn how to adapt. There are many tricks, but the most common are to use the baby bottle, breast or dummy. If they are old enough to chew chewing gum, it’s also a great alternative. In your head you need a thousand and one things to make your children feel at home, but that’s not the case. When you carry too much luggage you can’t pay attention to the important things and, to be honest, we’re sure that you’ll be able to find and buy most of the objects at your final destination. If your concern is clothes, you can always count on the laundry services just like we have at Hotel Suite Villa Maria, which will wash your clothes leaving them pretty much new at an affordable price. Arranging activities and excursions in advance will not only guarantee better organisation during your holidays, but in some cases you might even get cheaper rates. The luck of choosing a destination like Tenerife is that most of the experiences are suitable for children of all ages. If this is your intention, our reception facilitates all these formalities even before your arrival at our hotel. There is nothing like travelling to awaken interest in history, nature or culture. Everything your children study in textbooks can also be learned through travel, and Tenerife is a great place to learn more about colonial heritage, volcanoes or even botany. Not that family travel destinations are unsafe, but children’s curiosity invites them to get lost when you least expect it. Try to ensure that your children always carry some sort of identification, such as your phone on a label or similar support, and try not to lose sight of them at any time. Family trips are a wonderful experience and, extreme organization can play against you. Take time to relax and improvise: a morning at the swimming pool in your own villa, a stroll along the beach, shopping evenings in Costa Adeje or fun at Club Pispita. These are some of the most popular plans made by the families who visit us and, to many of them, the reason why they trust Hotel Suite Villa Maria year after year. 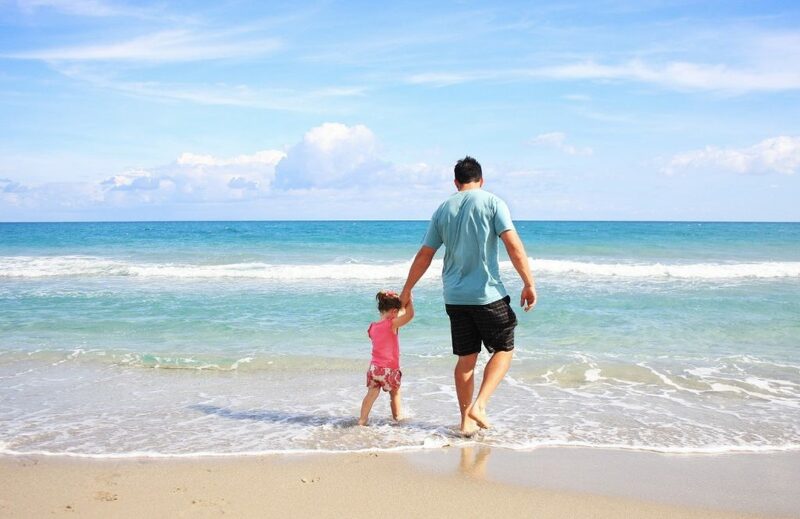 Our establishment may be the ideal place for your first holiday with children, so don’t hesitate to take a look at our installations and services. You’ll fall in love!